The Leader’s Guide to Radical Management (2010) offers seven key principles that will help managers stay focused on making their customers happy. You’ll find that the practical tools presented in these blinks will not only increase your profits; they’ll keep you and your workforce focused on what’s really important. 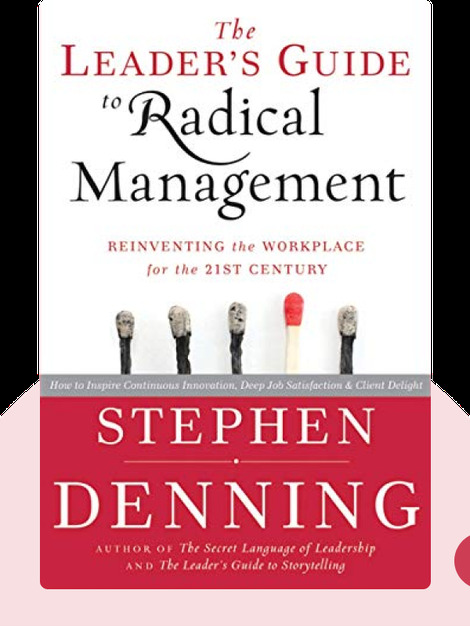 Stephen Denning is an Australian business guru who’s consulted for organizations around the world. He’s a specialist in management innovation and helping businesses find their own path to success. His other books include The Secret Language of Leadership: How Leaders Inspire Action Through Narratives and The Leader’s Guide to Storytelling: Mastering the Art and Discipline of Business Narrative. 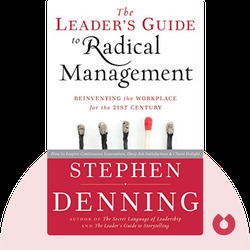 © Stephen Denning: The Leader’s Guide to Radical Management copyright 2010, John Wiley & Sons Inc. Used by permission of John Wiley & Sons Inc. and shall not be made available to any unauthorized third parties.